Take your lashes—and your confidence—to new heights. 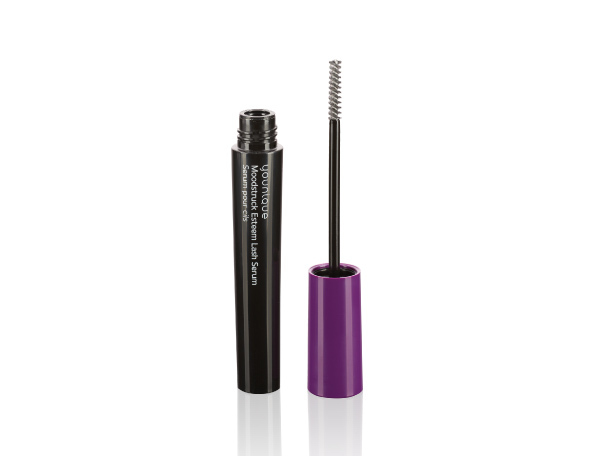 Prepare to give your own natural lashes an extra dose of volume with this top-level lash serum. No need for extensions, fillers, or falsies, just your own lashes maximized. This twice a day lash serum is shown to increase your own eyelash volume by as much as 39% and give you up to 29% longer-looking eyelashes after 28 days of use. Place the brush on the lid side of your lashes and gently sweep to tip each night before bed after you have washed and dried your face and lashes. Allow product to dry before closing eyes to sleep. If desired, repeat application in morning for maximum effect. To avoid momentary tingling that may occur if product comes into contact with eye, focus on applying product to tips of lashes and avoid getting close to root. 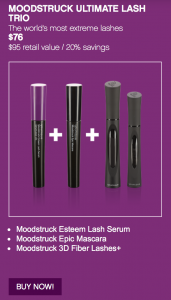 What is MOODSTRUCK ESTEEM™ lash serum?MOODSTRUCK ESTEEM™ lash serum is a daily lash serum that increases lash volume by up to 39% and gives longer-looking lashes by up to 29% after four weeks of twice daily application. **Averaged results observed in independent laboratory testing. 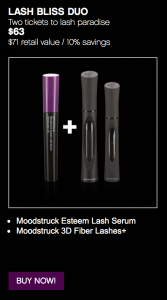 How do I use Younique MOODSTRUCK ESTEEM™ lash serum? Use nightly. Apply to lid side of middle to tips of lashes after you have washed and dried your face and lashes. If necessary, wipe off excess serum from applicator before applying to lashes to prevent applying too much product. Wait approximately five minutes for the product to dry before going to sleep or applying additional product to your eye area. Do not wash your face after applying the lash serum. If you get the product in your eye, rinse with water. You may experience a tingling or burning sensation if the product does get in your eye which should improve within a few seconds. If any tingling or burning persists or is not tolerable, rinse with water and discontinue use. Once you have reached your desired results, decrease use to 3–4 times a week to maintain. How frequently should I apply the lash serum?Apply the lash serum every night before bedtime. You also can use it each morning before makeup application. Best results are seen with consistent use. How long will it take before I see results?Results vary by user. However, in a clinical test, results were seen after four weeks of twice daily application. What happens if I forget to apply the lash serum for a few days?If you forget or skip an application, simply resume use. Consistent daily application is the best way to get results. Can the Younique lash serum be used on my eyebrows?Yes, the lash serum may be used on eyebrows. Can the Younique lash serum be used on my lower lash line?We do not recommend using the lash serum on lower lashes. How long should I expect my results to last?Consistent use provides the best results. 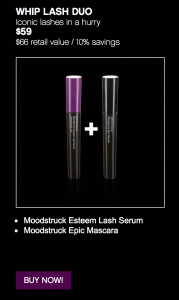 We recommend using MOODSTRUCK ESTEEM™ lash serum every night before bed. Over time, you will gradually experience fuller-looking lashes. Once desired fullness is achieved, use 3–4 times a week to maintain results. What happens if I stop using the Younique lash serum?Your lashes will gradually revert back to their original appearance. Has this product been ophthalmologically tested?Yes, it has. What should I do if I accidentally get the product in my eyes?To avoid getting the product in your eye, scrape excess product off the brush in the top of the tube, then start at middle of the lashes on lid side and sweep to tip. If you do get the product in your eye, rinse with water. Can I use Esteem lash serum if I have eyelash extensions?The lash serum is not recommended for use with eyelash extensions. Water/Aqua/Eau is a solvent used as a base for most formulas, and helps to distribute other ingredients evenly over the skin. Polyquaternium-37 is a hair conditioner. Caprylyl Glycol conditions hair and skin. Glycerin is a type of alcohol that conditions hair and skin. Caprylhydroxamic Acid is an amino acid derived from coconut oil. Lecithin is a skin conditioner and emollient. Aminomethyl Propanol is a buffering agent. Disodium EDTA increases the stability of formulation. Gluconolactone is a skin conditioning agent. Hydrolyzed Keratin is a skin conditioning agent. Laminaria Digitata Extract is a skin conditioning agent. Pelvetia Canaliculata Extract is known for skin conditioning qualities. PEG-40 Hydrogenated Castor Oil is a surfactant. Xanthan Gum is a thickening agent. Apigenin is a flavonoid found in many fruits that has skin benefits. Biotinoyl Tripeptide-1 is a hair conditioning agent. *Averaged results observed in independent laboratory testing.